Soap gets its name from Mount Sapo, Italy; a hilly area near Rome. The ancient legend dates back from 100 B.C. and tells the story about women washing their togas at the Tiber River below the mountain. As the folklore unfolds, we find out that sadly, this mountain was where the populace sacrificed animals. A simple yet significant discovery came from those offerings, which would reshape customs for centuries to come. From the alter, fats combined with ashes ran down the hillside to the river. The washwomen at the base of the river found this “sapo clay” most conducive for washing clothes, skin and fur. Whatever the truth of the legend, many languages derive their names for the product from the word sapo. In Italian it’s called “sapone”, French “savon” and English, of course, “soap”. The first know written mention of soap dates back to about 2500 B.C. on Sumerian clay tablets. They allude to using soap for washing wool. The tablets were found in the area of the Tigris and Euphrates rivers, what we now call Southern Iraq. Another Sumerian tablet, dating 2200 B.C. mentions a soap formula using water, alkali and cassia oil. Remarkable similarities to the formulas used today. Luxurious roman baths were built around 312 B.C. The Romans, along with the Greeks and Jews honored the philosophy that the body was a gift from the gods and should be maintained with high regard. Enthralled by body cleanliness and sanitation, elaborate public baths and toilets were constructed. The Greek physician, Galen contributed to this bathing fetish. He was quite aware of the merits of soap for maintenance of health. In the 2nd century A.D. he made literary references to soap and prescribed washing with it as a means to carry away impurities from clothes and and body. Further exploration of European involvement in soap history reveals the existence of a large fully equipped soap manufactory that was discovered while excavating the ruins of Pompeii. The city southwest of Italy was buried under the lava eruption of Vesuvius in 79 A.D. The fall of the Roman Empire in 467 A.D. resulted in the collapse of the popularity of bathing and soap and thus began the era of the Great Unwashed. Throughout most of Europe, bathing was considered an instrument of the devil. The resulting unsanitary conditions contributed greatly to the devastating plagues of the Middle Ages. There were, however, prescription baths taken during these medieval times. They were mostly a concoction of perfume oils, herbs, pine needles and bark. The complexity of soap was not necessarily a component. 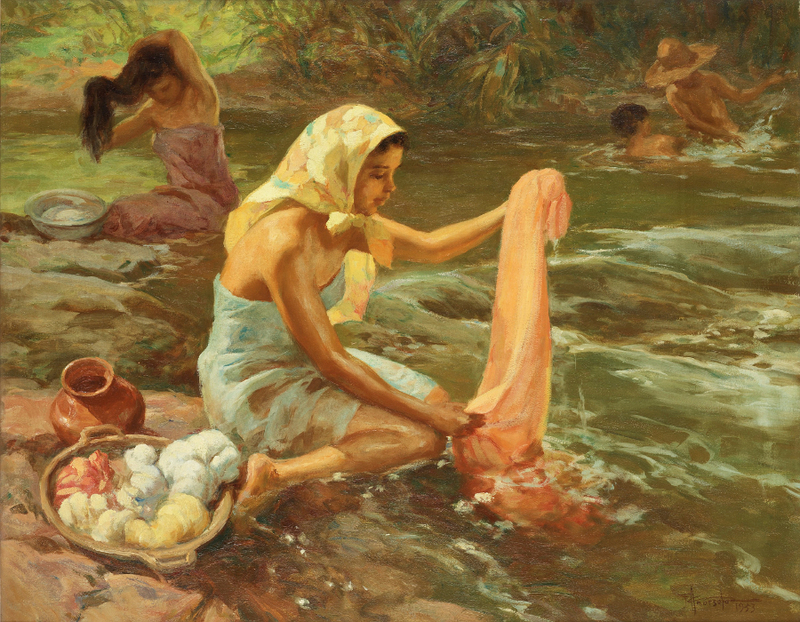 Many non-European cultures retained their bathing traditions, though it wasn’t until several centuries later that bathing would come back into practice in Europe. Italy’s prestige in the cosmetic world was restored as Mediterranean explorers brought back aromatic gifts of herbs and spices. Once again Italy became the center of the world, as the industry resurfaced presenting new business opportunities. Soap History: Scientific advancements lead to industry boom. The medical research discovery of bacteria was in the late 1600’s. Though the more significant findings are from Louis Pasteur in 1865. His studies of bacteria spur the theory that microbes were the cause of disease. During the 7th century, soapmakers’ guilds were established throughout Europe. Within these manufactories, the trade secrets were certainly highly protected and the craftsmen closely monitored. To obtain a position such as an apprentice, journeyman or especially master soapmaker was highly prized. The earliest production sites were found in Italy, Spain and France. The abundant supply of olive trees provided olive oil, delivering the best quality soap. Also found in these regions was the barilla plant, whose ashes were used as lye. Before olive oil was goat tallow soap and it was introduced to France by Italy in 1300. Over the next 200 years, France develops castile soap made with olive oil, and scented soap. Then during the 1500’s France’s discoveries are learned by England. In 1688 The British government placed a heavy excise tax on soap and other domestic goods in order to pay for their tremendous debt taken on during the Civil War. Consequently, making it procurable only to the rich. In addition to the overwhelming burden from the excise tax for goods such as soap, salt, beer and spirits, import duties were also highly elevated on a number of goods like sugar and tobacco. Despite that, by 1700 there were 63 soap companies in London England alone. During this time British and colonial trade is heavy. Commercial production of soap did not begin in Colonial America until 1608 when several entrepreneurial soapmakers from England arrived. 1600-1700 colonies are exporting soap ash and fat to England. Advancements in chemistry that directly affect the soap trade happen in between the bacteriological findings. In 1791 Nicholas Leblanc, a French chemist, discovers a process to manufacture lye from common salt. Raw materials are no longer needed from the colonies. Then in 1823’s another French Chemist, Michel Chevreul made significant discoveries about the realationship between fats, glycerine and fatty acids. He showed that saponification was a chemical process splitting fat and lye into soap(the alkali salt of fatty acids) and glycerine. Also during the 1800’s Belgian chemist Ernest Solvay improved the method for making lye from salt by using ammonia. This allowed for increased availability and stability for soap making. be given at proper places to be able to design an effective site.